Have you recently been a victim of a disaster? If yes, have you tried finding the right home restoration company? Finding the right restoration company can be a daunting task. Well, if you reside in and around areas like Chicago, Des Plaines, Evanston, Northbrook, Northfield or Park Ridge IL, then look no further. We, at A Emergency Services & Restoration, being in this field for more than a decade, will be able to provide fast, reliable emergency services and restoration for all property owners. However, there are certain aspects that need to be contemplated on while choosing a professional Home Restoration Company. Don’t believe us? Well, here is a list of the top three questions that would need to be addressed. Zeroing-in on these points would help you to settle for the right company. Take a look. What is the Restoration Experience That Your Company Has? – This is the most important question that you would need to ask the restoration company. Asking them how often they do projects like these will help to determine their experience. This will give you a brief idea as to whether they are even worth hiring or not. As for A Emergency Services & Restoration, we have ample years of experience in providing exceptional reliability and results in restoring your home. Are There Any Positive Customer Feedback? – Prior to hiring a company, you should always make sure to ask the company about the customer reviews, if any. Going through the reviews will provide you with an adequate knowledge about the efficiency of the company and its employees. Are Your Technicians Available at All Times? – Reputed restoration companies should answer calls at any given hour of the day. As disaster situations should be immediately handled, restoration companies should be able to send technicians to inspect and handle the situation as soon as possible. Therefore, now that you are aware of the questions to ask for when hiring a good home restoration company, make sure to use it to the best of your advantage. To know more or to avail any of our services, contact our professionals at 773-529-6700. After a disaster such as a fire or a flood you will need home restoration services. A Emergency provides disaster recovery services throughout Chicago, Evanston, Glenview, Mt Prospect, Northbrook and Park Ridge IL. Should your property be damaged in a fire, flood, storm or similar event, they can help you with home restoration and recovery services. Severe property damage can disrupt your life and have a negative impact on your normal activities. You will want to get your life back to normal as soon as possible. The A Emergency disaster recovery team will be dedicated to restoring your property to pre-disaster state. They can help you with all kinds of home restoration services. It does not matter whether you just need a broken window repaired or your entire home rebuilt, they can help you. Disaster recovery and property restoration work usually involves assessments, board ups, glass replacement, mold remediation, water removal, moisture extraction, drying, cleaning, sanitizing, odor removal and repair work. Property damage can be due to fire and smoke, water and flooding, windstorms and so on. A disaster recovery team uses specialised products to remove stains and neutralise odors. They also board up and secure exposed and compromised areas of your property. Water in the form of flooding is the most common cause of property damage. A home restoration team uses specialised equipment to remove water and extract moisture. They use innovative drying and sanitising methods and processes to ensure all water and moisture is removed. If you need home restoration in Chicago, Evanston, Glenview, Mt Prospect, Northbrook or Park Ridge IL, then the disaster recovery team at A Emergency is ready to help. They will also assist with assessments for insurance and claim purposes. Park Ridge IL, Chicago IL, Evanston IL Home Restoration from A-Emergency is beautiful and affordable. Contact us today for more about home restoration. The loss of the effective use of your home, even on temporary basis is a not a pleasant prospect. Not only are there huge financial consequences, there are also lifestyle implications. The scary part is that it is a real possibility and happens to countless people every year. When disaster strikes you need to know who to call. If you need home restoration or flood restoration in Chicago, Niles, Morton Grove, Skokie or Lincolnwood, then A Emergency is ready to help. There are many real risks that can severely damage or destroy your home and disrupt your life and the lives of your loved ones. That is not a situation you want to endure for long. When your home is damaged by a flood, fire, windstorm, twister, hurricane or some other event, you need fast and effective home restoration. Hopefully you will have the right insurance to cover the costs. A disaster recovery company will not only restore your home, but they will assist you with important administrative and legal processes such as damage estimation and insurance claims. Home restoration starts with an inspection of the damage and a plan to contain damage and restore your home in the quickest possible time. Any serious event on your area, such as a flood, fire or storm, your house will likely be severely damaged and its perimeter and security compromised. Quite often home restoration begins with securing your property so it is safe for people to work there. Securing your property with board us, temporary fencing and tarps will also protect your home from the elements as well as possible intruders. Flood restoration is one of the most common types of home restoration. Water has to be extracted, everything has to be dried and disinfected. 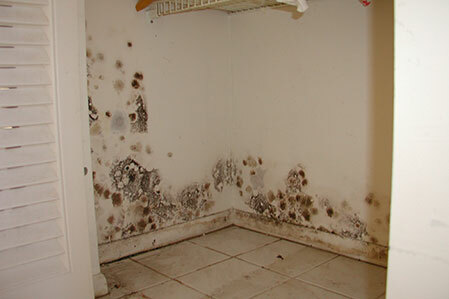 A disaster recovery time will also perform other tasks such as mold remediation and removal. Home restoration whether in the form of flood restoration or fire restoration is best left to the professionals who know how to do the job and who are able to do the job. Be careful of any electrical damages and gas leakages- Just stay clear of your home if you smell gas leakages or find any exposed electrical wires touching the stagnant water in the basement or else you may get blown up due to the leaking gas and also an electrical shock if you touch the standing water. Ensure to dispose of the household chemicals- Make sure to properly dispose of the household chemicals and cleaners that prove dangerous for your home and also your neighbors but not on the streets since it will pollute the water. Take photos as many as you can of the affected areas and then call your insurance company- Take pictures and document all the water damaged items that you have come across in your basement before discarding them not only for having an accurate estimate of your losses but also for having a record for insurance purposes which you can share with your insurance company. Be sure to use caution to your kids and pets- Never allow kids and pets venture into your basement and other parts of your abode before having thoroughly checked all rooms whether there are any debris present or even poisonous snakes or other critters. Notify your emergency contact- Make sure to contact a family member and let him or her know that you, your kids and pets are absolutely fine. Our flood restoration professionals at A-Emergency Services & Restoration knows that dealing with flood damage can be a very stressful and scary experience, regardless of whether or not you have dealt with it before. Call us in this number 847-737-5142 today if you need any help in fixing your flooded basement of your property. If your roof is damaged and in need of repairs then a roof tarp offers a temporary solution until proper repairs can be carried out. Working on a roof can be dangerous and is best left to people who know what they are doing. For professional roof tarping in Chicago, Lincolnwood, Morton Grove, Niles and Skokie you can contact the restoration team at A Emergency. . They have roof tarps suited for all kinds of roofs, including in, tiles, shingles and asbestos. After a storm your roof can be compromised and exposed. A damaged roof cannot provide adequate protection against the elements and alos poses a security risk. Permanent repairs might not be possible immediately and in such cases a roof tarp can ave your home from further damage. Professional roofers know how to install and attach roof tarps, whether intended for a few days or a few weeks. They know where on an up-slope the tarp should be attached so water can’t get under it and how to secure it so that the wind does not blow it off. Simply pacing weights on a tarp to try and hold it in place is foolish and dangerous. A Emergency has expert roofers who will attach and fasten a roof tarp that will protect you and your home until proper repairs can be carried out. Roof tarps come in different shapes and sizes such as hurricane tarps, light weight polyethylene tarps and heavy duty polyethylene tarps. A good roof tarp should be cost effective, waterproof, mildew resistant, strong and durable, tear resistant and easy to secure. Some types of roof tarp don’t require ropes and can still cover large areas. Modern day roof tarps are often light weight but still strong and durable. A professionally installed roof tarp will also be free of wind noise and won’t cause secondary damage. Property damage as a result of disasters such as fires and floods can leave your home in a vulnerable and compromised state. Home restoration services is often required to secure and protect your property after a disastrous event. A-Emergency Restoration Services provides board up in Chicago, Niles, Morton Grove, Skokie and Lincolnwood and home restoration. Securing your home is one of the most important tasks of a disaster recovery effort. This can include home board-up in Lincolnwood and Niles, roof tarping, structural stabilization in Chicago and the surrounding areas as well as temporary enclosures and fencing. Disaster responders have all the important equipment and resources to secure, clean, sanitize, disinfect and restore your home or premises after a calamity. Apart from damage to your property, a disaster can severely disrupt your life and the lives of your loved ones. Such an event can be emotionally draining and overwhelming. You will need to get your life back to normal as quickly as possible. A professional disaster recovery team can help do just that. They understand the importance and the need for fast and decisive action. One of the first things a disaster recovery team will do is to prevent additional damage and loss. A-Emergency provides board up in Skokie, Lincolnwood, Chicago and the surrounding areas, roof tarping and provide temporary fencing if needed. You don’t want to leave your home exposed to elements or vandals. Before the restoration process can begin your home has to be safe and free of health risks. This means any accumulated water has to be extracted and materials and surfaces have to be dried and sanitized. Once your home has been secured and cleaned the actual restoration process can begin. This will involve construction, building, plumbing, electrical work, roofing and more. Soon your home will be restored to pre-disaster condition and in time the whole nightmare will become a distant memory and you will glad you used the board up services of A-Emergency in Skokie, Niles, Lincolnwood and the Chicago surrounding areas.